Assigned by the French Embassy as a teacher at the Liceu Pasteur (São Paulo, Brazil) from 1978-1984, and responsible for the teaching at the Alliances Françaises in Portugal, from 1984-1990. While carrying out this teaching activity he discovers the importance of psychological and cerebral mechanisms in the learning of languages, which leads him to study the Audio Psycho Phonology of Alfred Tomatis. In 1990 he decides to abandon teaching to study Acupuncture. From 1990-1993 he attends the School of Traditional Acupuncture, in Lorient, France, receiving his diploma in 1993. In the same year he obtains the National Diploma of Traditional Acupuncture from CREAET (Centre de Recherches et Études en Acupuncture et Énergétique Traditionnelles), in Paris. He finishes this training with a specialisation, working in two hospitals in Hanoi, Vietnam, from September to December 1993. 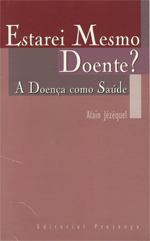 - June 1996: Therapy focused on the Solution, under the direction of S. de Shazer, Lyon. - June 1997: Practical Strategies focused on the Solution, applied to adolescents’ problems and problems of dependency, under the direction of Harry and Jocelyne Korman, St. Étienne, France. - December 1997: Treatment of acute and chronic pain. Self-hypnosis and pain, directed by Teresa Robles, in St.Étienne, France. - June 1998: Hypnosis and metaphor, directed by Michel Kerouac, in Paris. - December 1998: The Psychotic Patient, delirious “outbursts,” directed by Teresa Robles, in St.Étienne, France. - May 1999: Therapeutic metaphors for children, directed by Joyce Mills, at AFHE (Association Française de Hypnose Ériksonienne), in Paris. In 1995 he dedicates himself to the study of Hamer’s New Medicine, a German doctor who focuses on the approach to pathologies, namely cancer and mental illnesses, with regard to the biological and psycho-cerebral aspect. He studies the interpretation of brain CAT scans, along the lines of Hamer’s theory. In December 2002 he attends a neurology and biological de-codification course with the neurologist Pierre-Jean Thomas Lamotte, in Montpellier. In June 2003 he participates in the first Bio-psycho-genealogy international Symposium, in Trimurti, France, and is responsible for a workshop on the use of EMDR (Eye Movement Desensitization Reprocessing) to resolve biological conflicts. In 2004 he specializes in TFT (Thought field therapy)), in Paris, under the guidance of D.Crouchez (the R.Callahan method). This method offers a vast field of therapeutic intervention, principally in pathologies derived from traumas or shocks, phobias, anxiety, insomnia and allergies. From 2007 he also uses EFT (Emotional Freedom Techniques), a method directly derived from TCM. 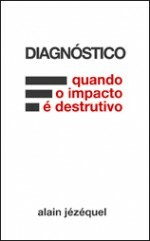 In 2004 he directs an introductory seminar on the EMDR method in Brasilia. In October 2005 he attends a course on Impact Therapy, directed by Danie Beaulieu, at GRAIP (Groupe de Recherches et d’Applications Intégratives en Psychothérapie), in Aix-en-Provence. 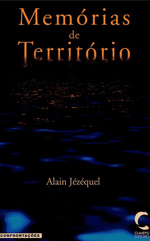 In May 2004 he publishes a second book, Memórias de território (Territorial Memories) - a biologic and cerebral focus on pathologies (Ed. Climepsi). Since 2005 he has been participating in investigative workshops related to Psycho-Symbolism, organised by the neurologist Pierre-Jean Thomas Lamotte, in France. - How to lower your cholesterol level without changing your eating habits? In November 2008 he follows a training course on Niromathé, directed by Raymond Branly and Thierry Vendôme, in Leiria. This method, initiated in 1997 by the French doctor Raymond Branly, treats osteopathic injuries. Since 1993 he has been working as an Acupuncturist and Bio-Psychotherapist in Braga and since 2008 in Lisbon. 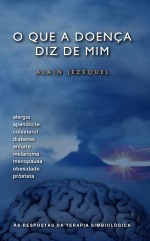 In November 2012 he publishes his third book O que a doença diz de mim (What the illness tells about me). As respostas da Terapia SimBiológica (Alergia, Apendicite, Colesterol, Diabetes, Enfarte do Miocárdio, Melanoma, Menopausa (Osteoporose), Obesidade, Problemas de Próstata).